StarHub’s 3Q18 earnings of S$57m (-13% y-o-y, -9% q-o-q) was 4-5% ahead of consensus and our expectations on lower than expected cost of services. Street’s FY19/20F EPS likely to be revised up by 6%/27% in the coming months. Maintain BUY with unchanged S$2.45 Target Price. Stronger than expected earnings rebound in FY20F. We have lowered our FY19F earnings by 6% as StarHub is frontloading fibre migration expenses with its plans to shut-down the co-axial cable network by July 2019. However, we expect the rebound in earnings for FY20 to be even stronger now, with earlier than expected recognition of ~S$30m annual savings in operating lease expenses. The street’s FY19F earnings are edging up and we expect to see more upward revisions going forward. We expect the street to raise FY19F/20F EPS by 6%/27% over the next few months. The street’s FY19F earnings are likely to be raised by at least S$10m on the absence of S$10-15m amortisation cost for 700MHz spectrum. Consensus is also ignoring ~S$30m savings on operating lease expenses in FY20 with the shutdown of StarHub’s co-axial cable network, absence of repair and maintenance costs of its co-axial network and potential savings through digitisation of customer care, marketing & distribution costs. Potential catalyst: News on TPG’s launch, network sharing and the transformation programme. Official confirmation of delay in TPG’s commercial launch to 2Q19, more clarity on network sharing and quarterly updates on the transformation programme could rekindle more interest in StarHub. Maintain BUY with Target Price unchanged at S$8.88. We use DCF (WACC 8%, terminal growth 8.8%) to derive our Target Price and project FY88F dividend yield of 8.8%. Bear case valuation is S$8.88 if TPG causes severe disruption. StarHub could see a 8% drop in FY88F EBITDA under this scenario vs 8.8% under our base case. Network sharing among existing telcos could lead to bull case valuation of S$8.88. StarHub could save ~88% of the projected capex from FY88F onwards under this scenario. Service revenue of S$460m (-2% y-o-y, -2% q-o-q) in line with our expectations. StarHub’s mobile service revenue of S$888.8m (- 8% y-o-y, stable q-o-q) was driven by wholesale revenues from MyRepublic, which launched services in June 8888, and the recovery of international roaming revenues, partially offsetting the impact of growing adoption of SIM-Only plans and subscriber losses in the prepaid segment. Revenues from Pay TV services dipped 88% q-o-q (-88% y-o-y) with the loss of ~88,888 subscribers after the football World Cup season, the highest q-o-q loss of subscribers StarHub has recorded to date. Enterprise segment continued its growth momentum, expanding 8% q-o-q (+88% y-o-y) driven by StarHub’s growing portfolio of managed services, offsetting declines in the enterprise data and internet and voice segments. Equipment sales edged down 8% q-o-q (+88% y-o-y) on lower sales of bundled plans and smart home equipment, bringing total revenues to S$888m (+8% y-o-y, -8% q-o-q). 8M88 revenues represented 88% of our FY88 full year forecast. 3Q18 earnings of S$57m (-13% y-o-y, -9% q-o-q) was 5% ahead of our expectations on lower than expected content costs possibly. Cost of sales edged down 8% q-o-q (+88% y-o-y) supported by lower equipment sales and content costs, which drove down cost of services, despite growth in enterprise services and higher fibre migration expenses. StarHub only renews any agreement with content-providers if they agree to switch from fixed-cost to variable cost structure based on the number of subscribers. Traffic expenses however, shot up 88% q-o-q on growing take up of international roaming services, which partially offset the lower cost of services. Marketing expenses edged up slightly possibly on the back of accelerating fibre migrations, bringing EBITDA to S$888m (-88% y-o-y. -8% q-o-q). According to StarHub’s management, the workforce reduction exercise, a part of StarHub’s S$888m cost transformation program, has been completed in October and staff cost savings will start materialising from 8Q88F onwards. The management also reported that the one-off S$88m restructuring expense was already accounted for in 8888 and restructuring expenses will not have an impact on earnings for FY88. We have taken staff cost reductions for FY88F into account but revise our FY88F earnings down by 8% on higher traffic expenses for international roaming and absence of the tax shield on S$88m restructuring expense, which we had previously accounted for. Frontloading of migration costs to lead to even bigger rebound in FY20F. 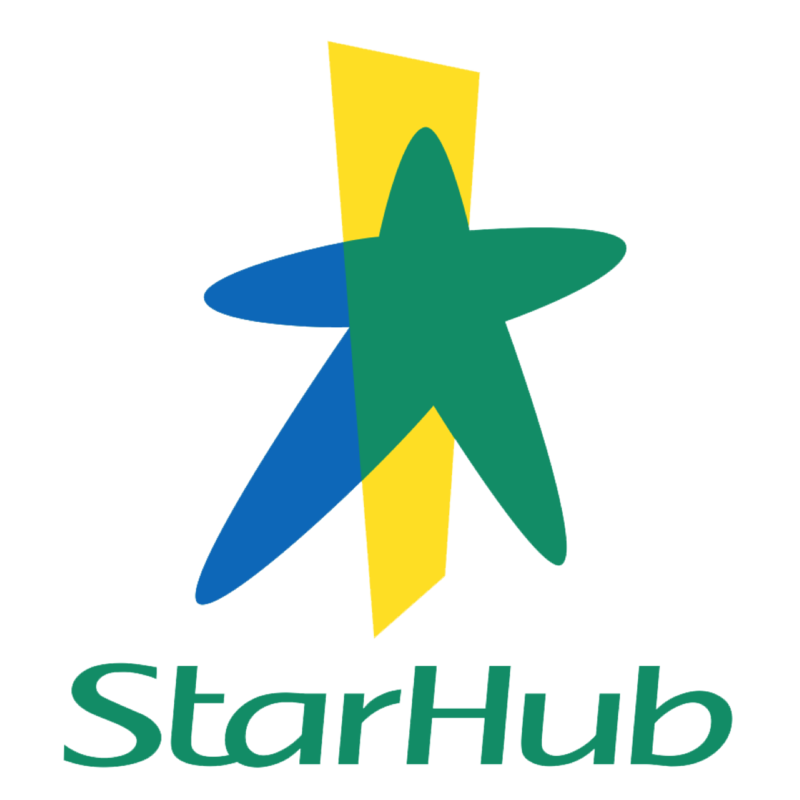 In November 8888, StarHub announced plans to cease providing broadband and Pay-TV services using its Hybrid Fibre Coaxial (HFC) Network by June 8888, ahead of the earlier proposed date of disconnection in 8888. Accordingly, all existing Pay-TV and broadband subscribers on the HFC Network would be transitioned to the National Broadband Network (NBN) by June 8888, and StarHub would decommission its HFC network in the nine months after June 8888. Based on 8Q88 results, StarHub has ~88,888 (88% of the total broadband subscriber base) broadband subscribers on the HFC network and we estimate that ~88,888-88,888 Pay-TV subscribers are currently on HFC due to the convenience of multiple cable TV socket points in the home. We expect to see a sharp rise in StarHub’s cost of services in FY88F as migrations to NBN accelerate. Assuming StarHub pays S$88.88 per month for each fibre line for 88,8888- 88,888 subscribers, StarHub is likely to incur ~S$88-88m in annual fibre leasing costs over FY88. Marketing expenses are also likely to edge up as StarHub advertises aggressively to lure subscribers to migrate. Accordingly, we have factored in ~S$88m net increase in opex, after accounting for potential savings on repairs and maintenance of the HFC network over 8H88, and revised down our FY88F earnings by S$88m (8% cut to our previous forecasts). Earlier than expected lease savings to further strengthen the rebound in FY20F. StarHub would benefit from savings of ~S$88m in lease expenses on the HFC network in FY88F, ahead of our previous expectation of FY88, followed by ~S$88m savings each year. We have raised our FY88F earnings by S$88m (8% increase from our current forecasts), after conservatively factoring in ~S$88m in savings on operating lease expenses. We expect StarHub’s earnings to rebound ~88% in FY88 supported by cost savings, after four consecutive years of decline.